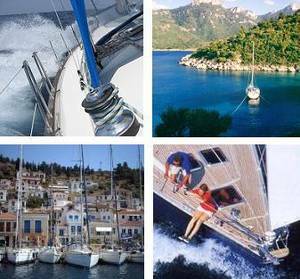 The specialists in flotilla sailing holidays, bareboat charter, crewed yachtcharters and the first choice for sailing in Turkey, Greece, Croatia, Italy, Spain and France. Specialists in every aspect of our field, by experienced yachtsmen and sailors who are keen to experience a different kind of holiday. Our expertise and our passion go hand in hand. And, after twenty years of offering exceptional service, prestigious vessels and a range of stunning destinations, for sailors from all over the world, our passion remains as ardent as ever. Mitsegeln- und Yachtcharter-Schlagworte sind yacht charter, Turkey, Greece, Croatia, sailing, sailing holidays, yachting, bareboat charter, bare boat, flotillas, flotilla sailing, flotilla holidays, flotilla sailing holidays, crewed charter, skipper, sailing holidays Turkey, sailing holidays in the Mediterranean, sailing holidays in the Caribbean.